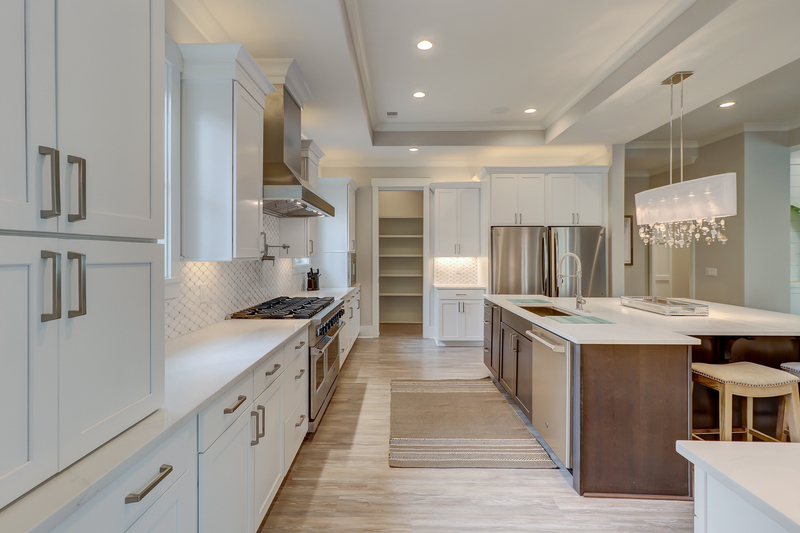 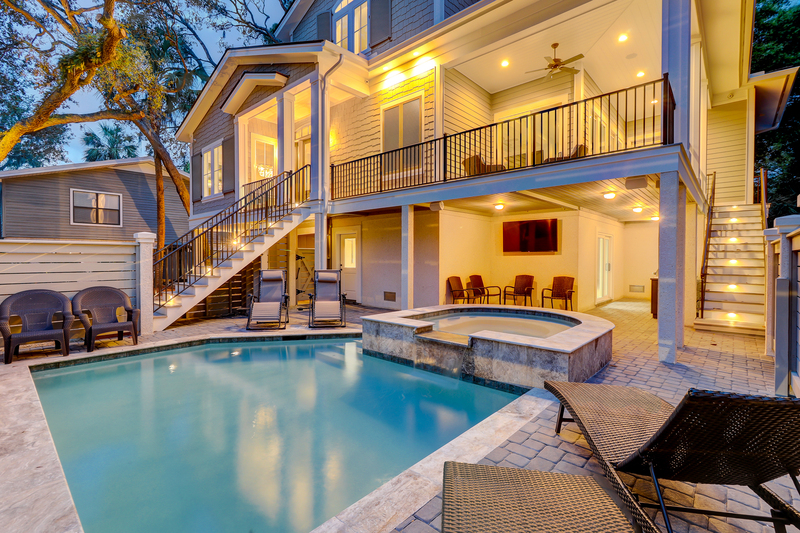 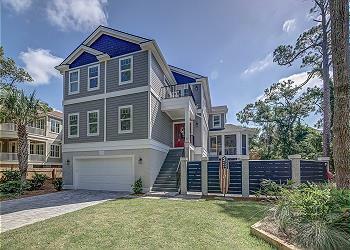 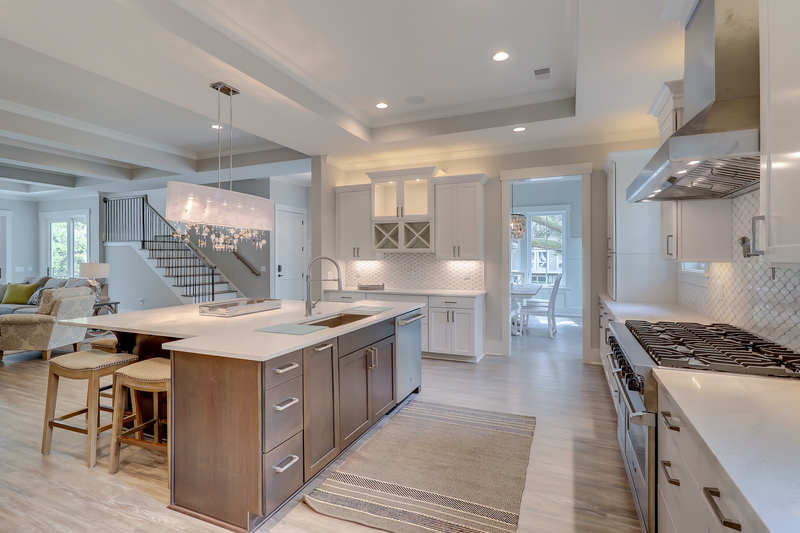 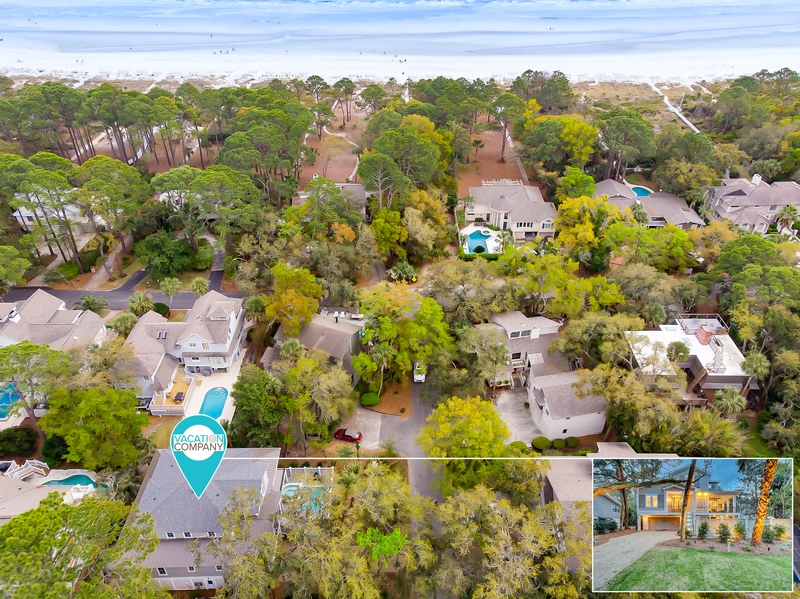 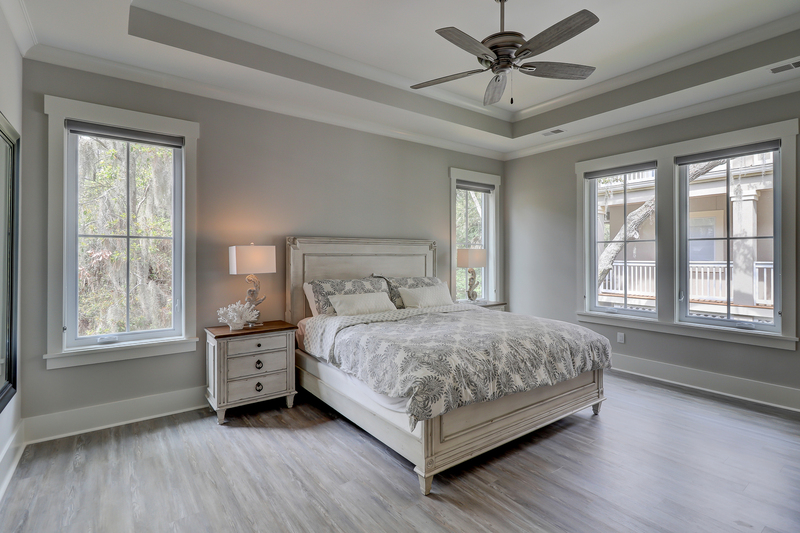 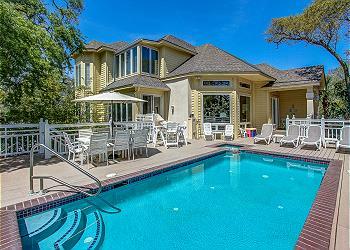 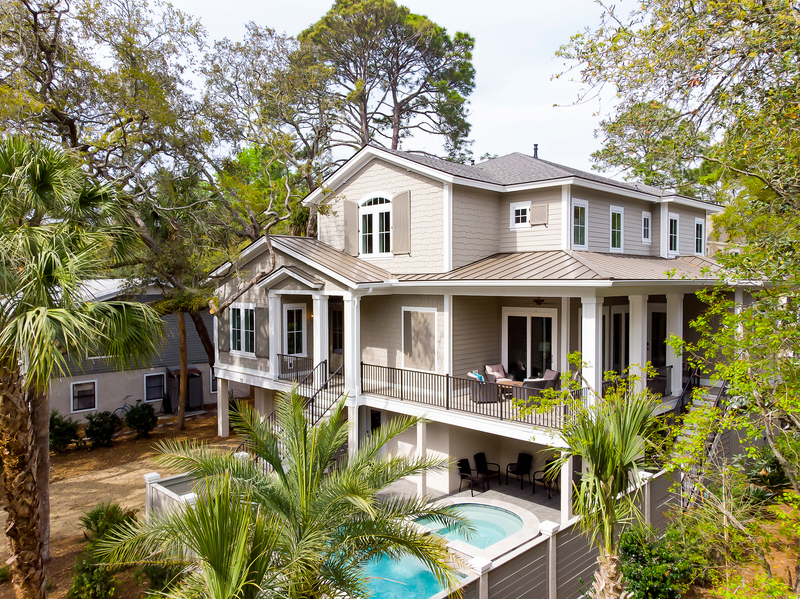 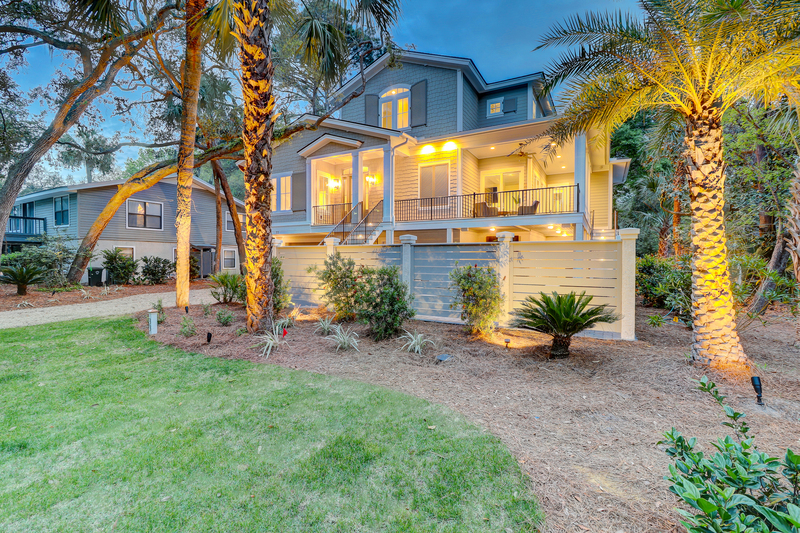 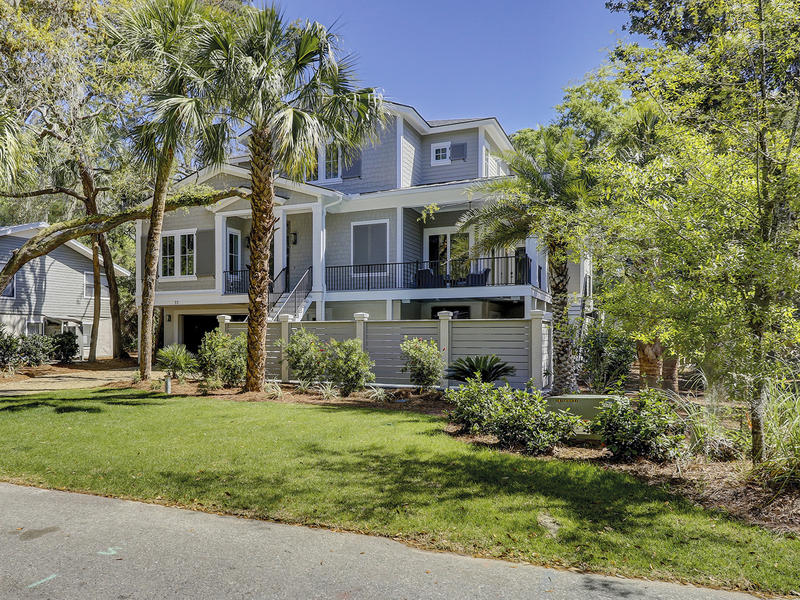 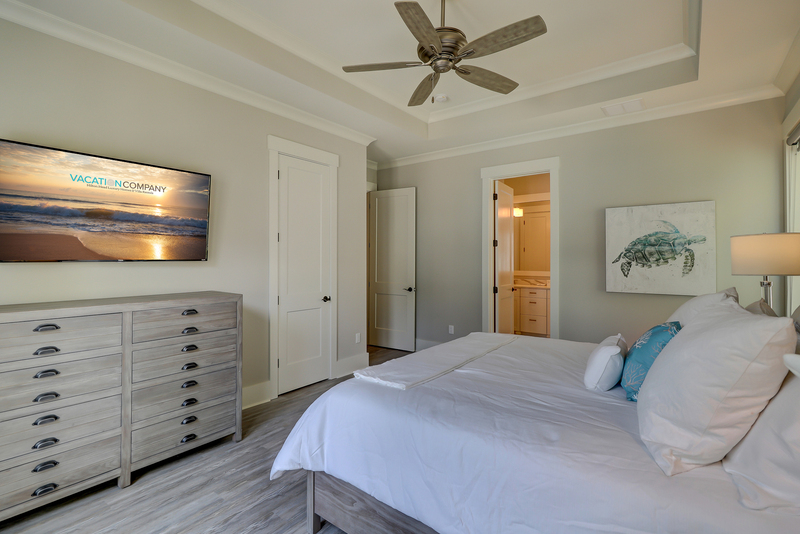 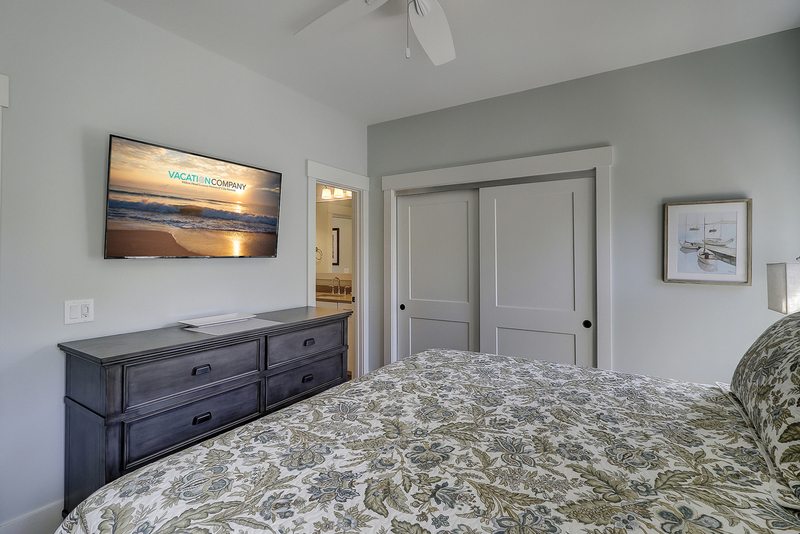 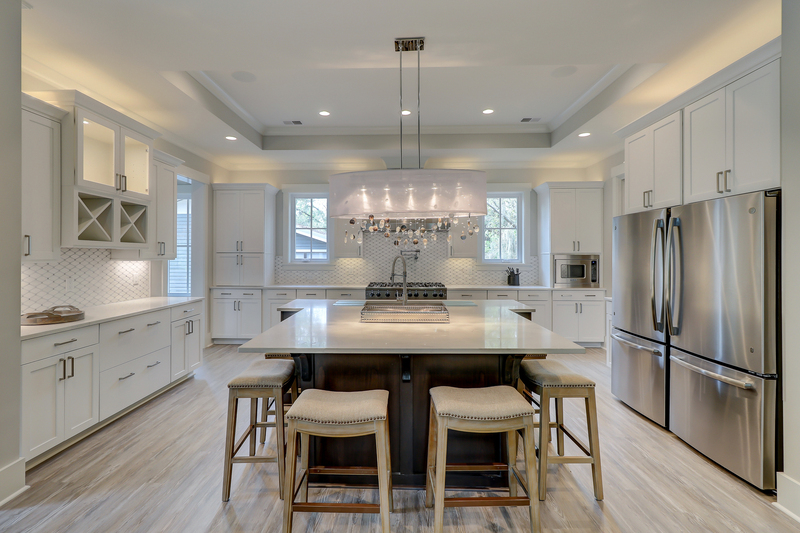 This newly constructed 6-bedroom, 6.5 bath home offers low country luxury only steps away from the beach. 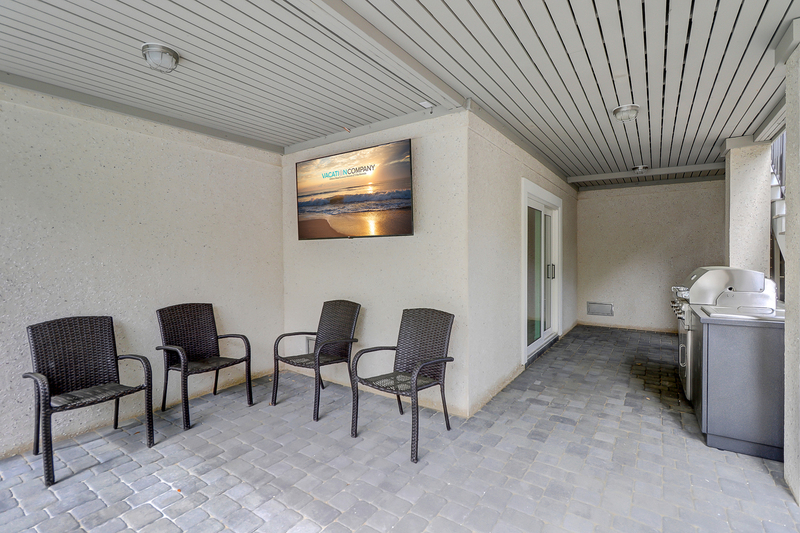 The outside living space is a vacation in itself! 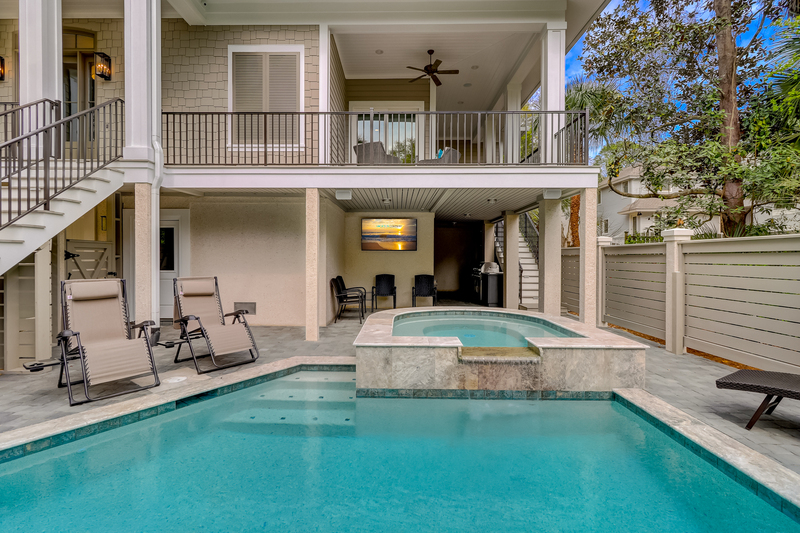 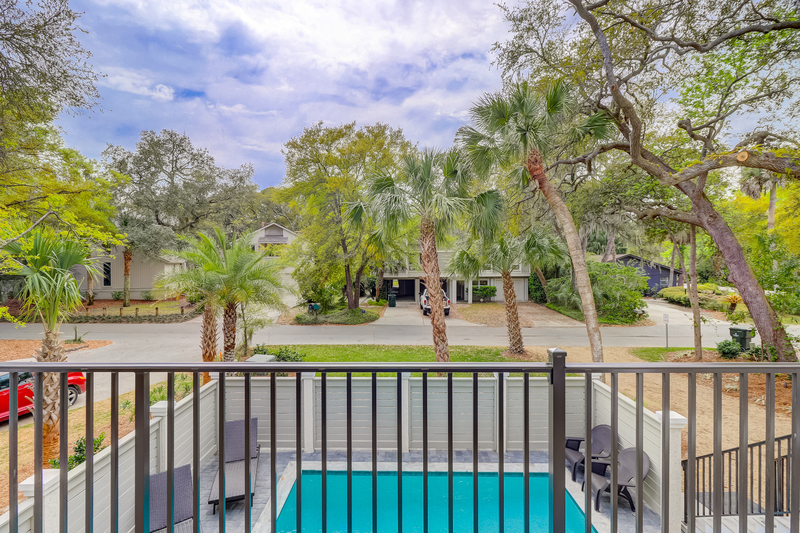 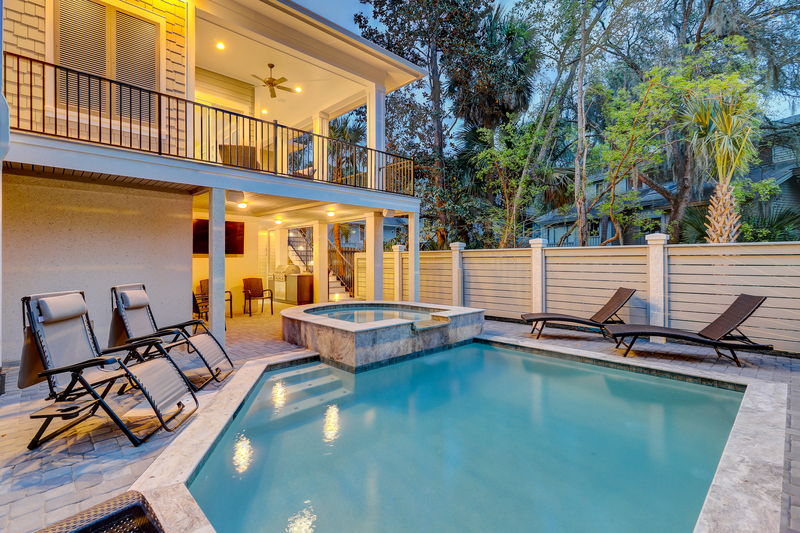 From the spa pouring into the stunning pool to the upper deck overlooking this beautiful spot, this house has all you will need for days and days of fun in sun! 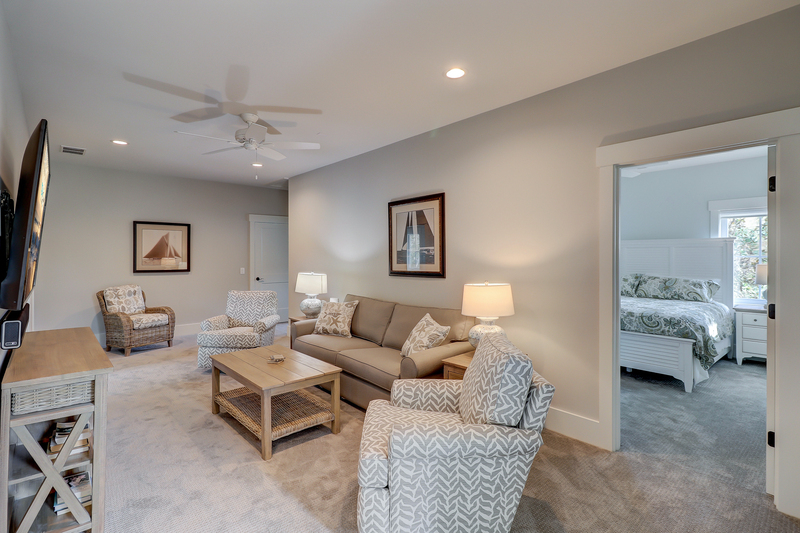 The main floor has an open, breezy flow. 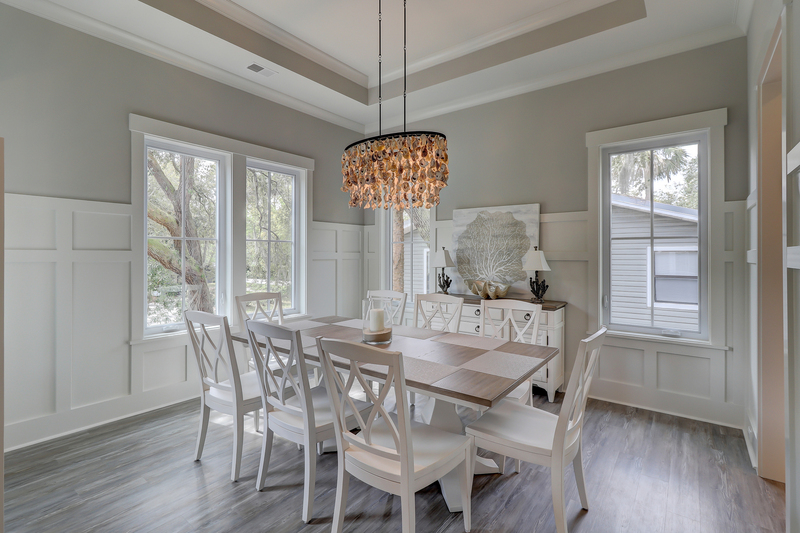 White washed floors, nickel board, an oyster shell chandelier, along with the beachy furniture appointments fill this home with coastal elegance. 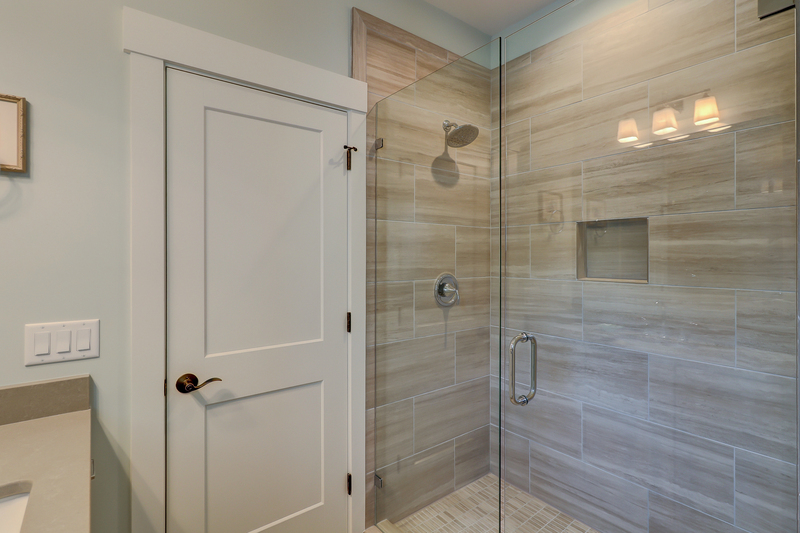 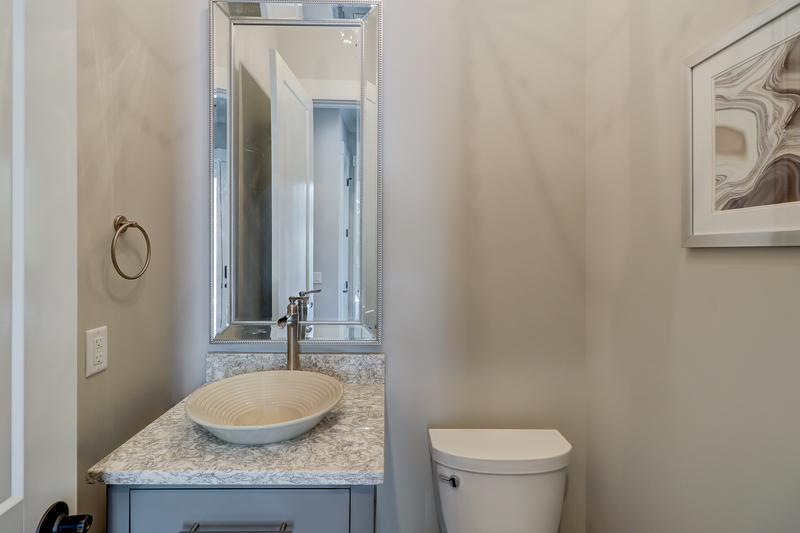 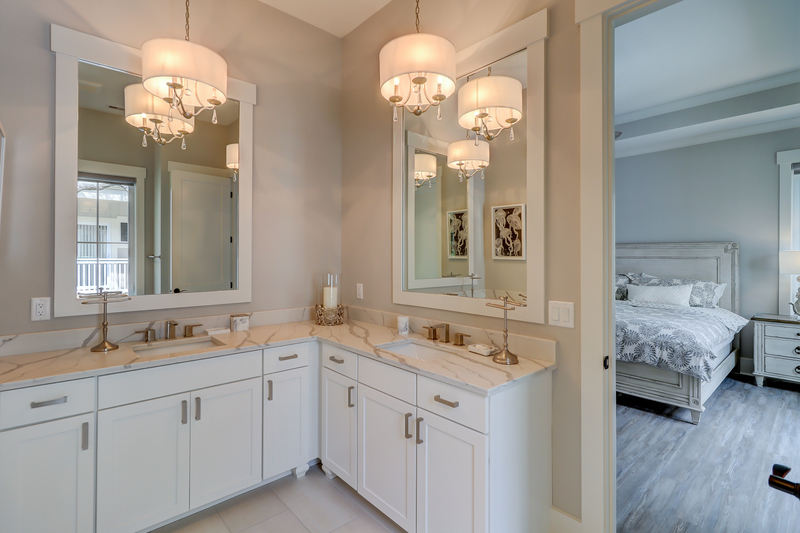 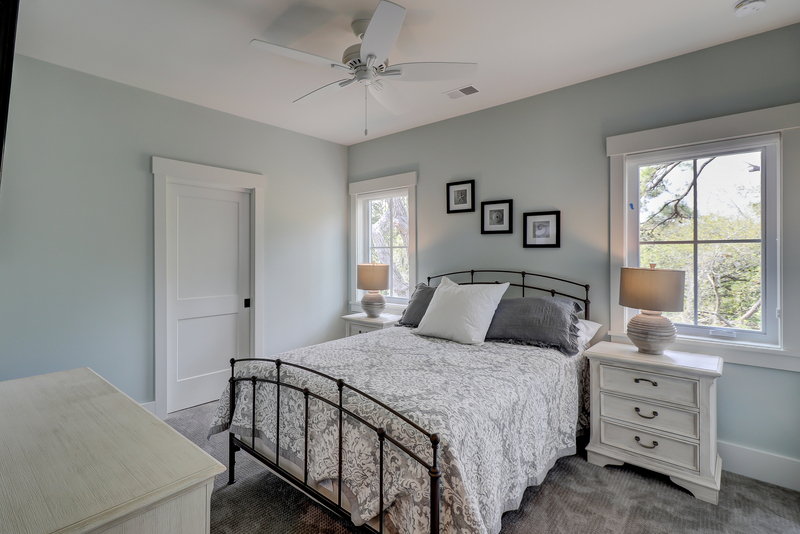 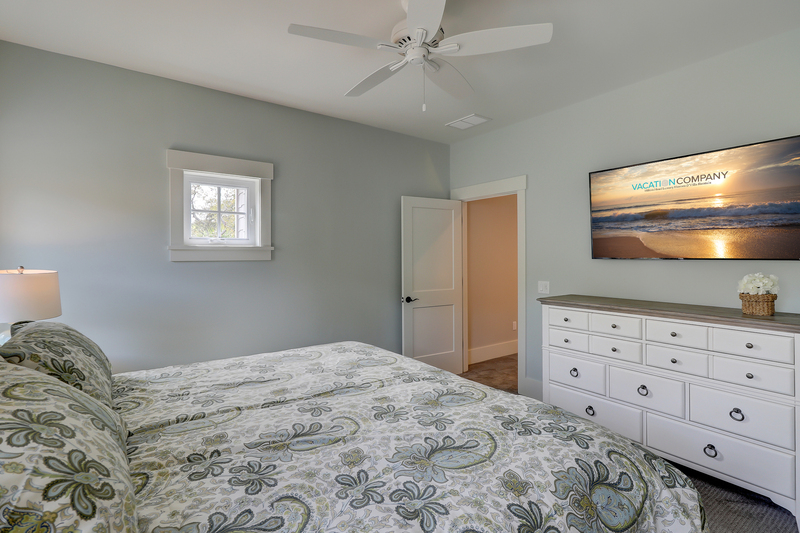 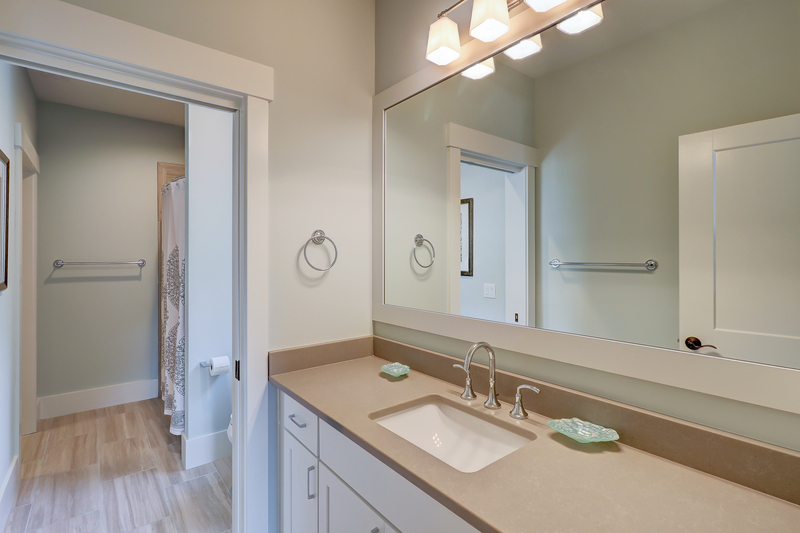 Comfort is built into the design with a laundry room on each floor and a private bath for each bedroom. 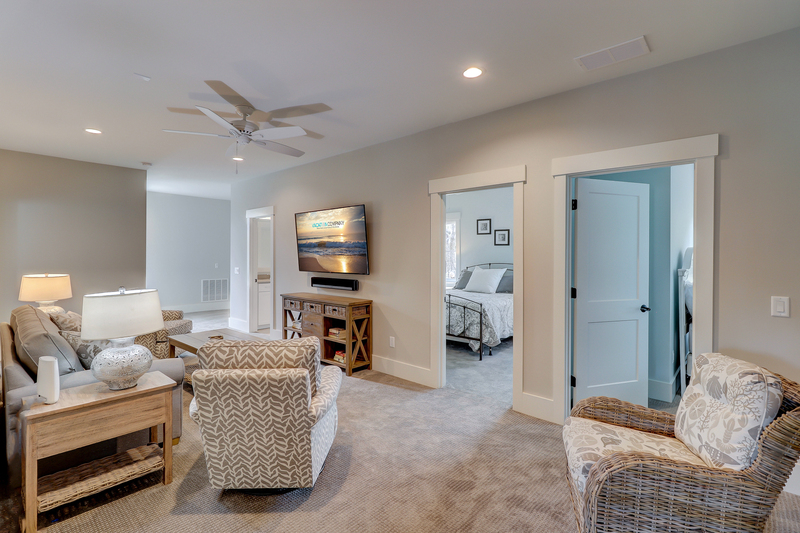 Having 2 indoor living areas give everyone plenty of space! 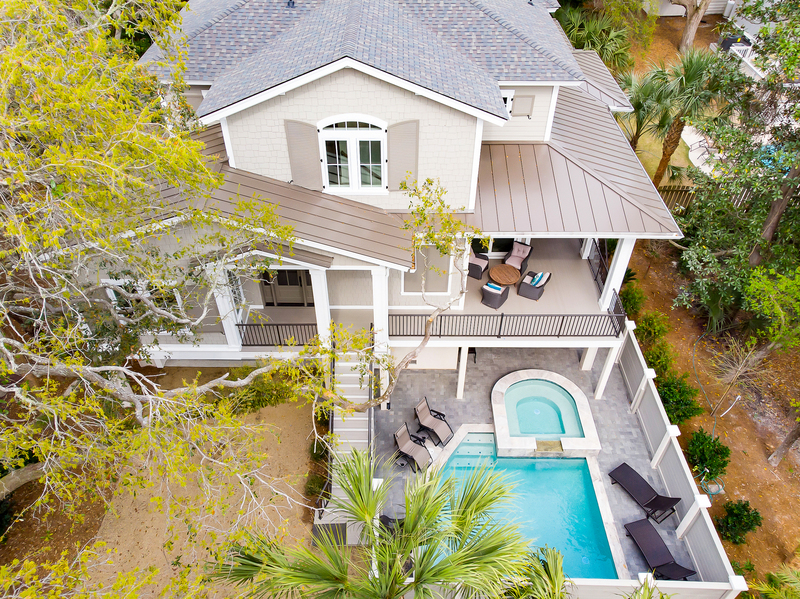 This beach get- away will truly make your vacation dreams come true! 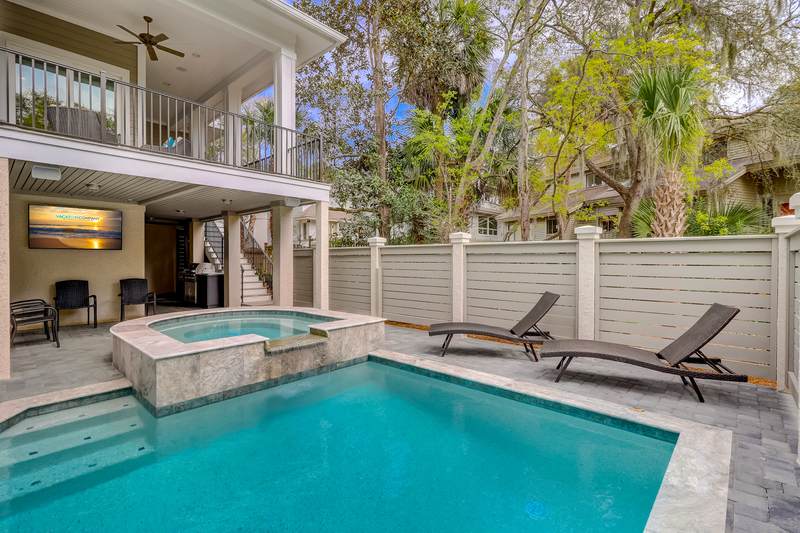 •	Heated* pool & spa connected with waterfall feature and sun shelf. 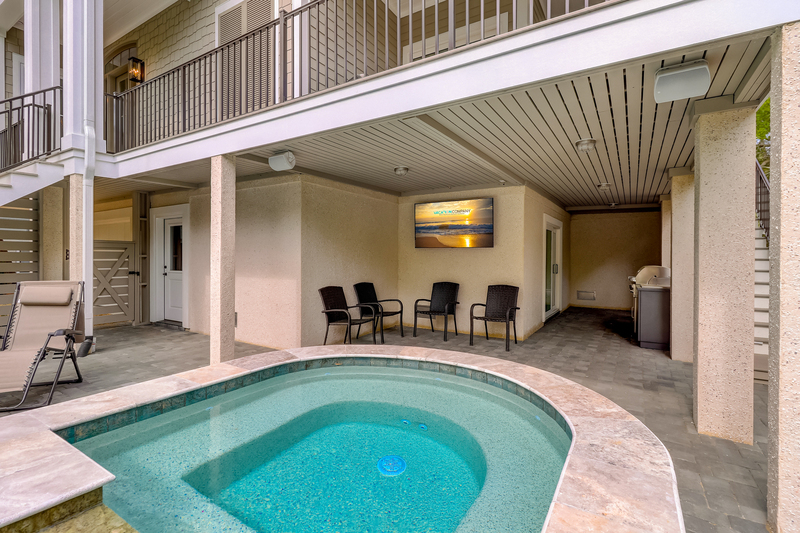 *This pool & spa have a gas heater and can be heated for an additional fee of $575-$875 + tax per week depending on the season. 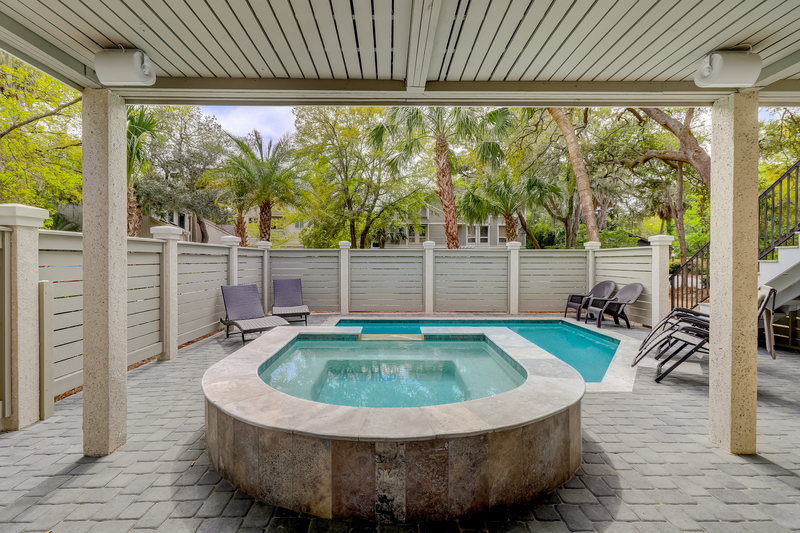 If you would like to heat the spa only, the cost per week is $225 + tax. 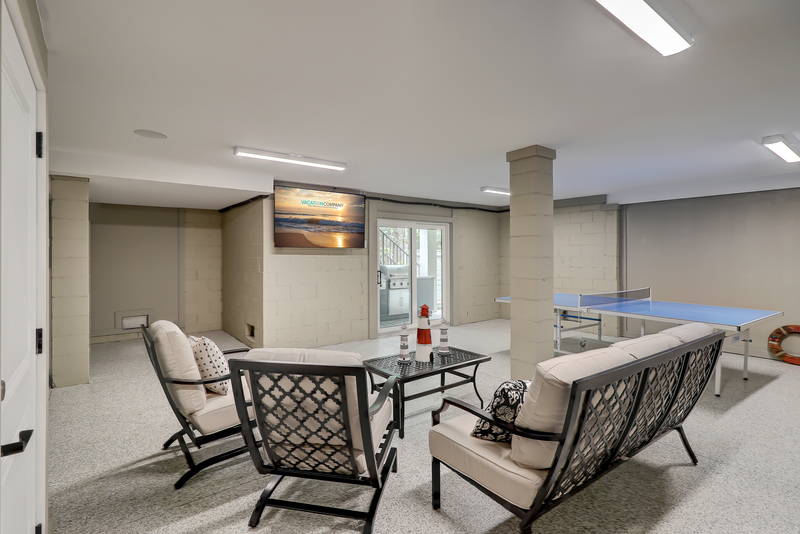 •	Game Room area off Garage with Ping Pong Table, TV, Media Player (Sonos) plus other games! 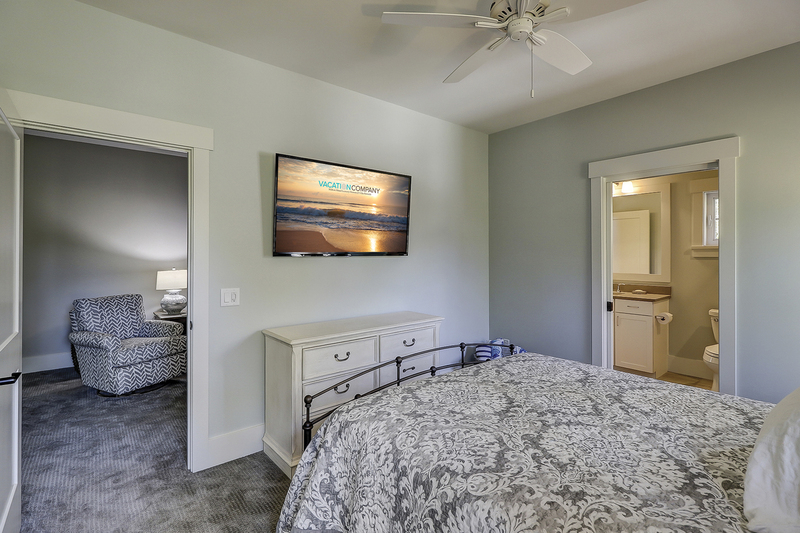 •	*Pet friendly - non-refundable pet fee of $300 plus tax.